In our most recent blog post, we shared tips for optimizing your accounts receivable in order to boost cash inflows. But when it comes to money leaving the business, you also need to have a solid plan in place especially in regards to accounts payable. If you have a supplier or a vendor you need to pay on a regular basis, you can save time by creating an automatic recurring payment reminder in QuickBooks Desktop. The software allows you to schedule monthly, weekly or daily reminders for payments. Based on the alert option you selected, you will either receive a reminder to create the check or print it when the next billing cycle is due. QuickBooks Desktop also allows you to set up an automatic payment by selecting “Autopayment” or “Epay”. The best part of this feature is that you will not need to print and mail physical checks to settle your accounts payables. Everything will be done seamlessly for you within the software. In addition, in QuickBooks, you can run an A/P aging report, which shows you, at-glance, a list of all outstanding vendor bills. You can organize this information based on the number of days each one is past due. You may already be offering early payment discounts to your own customers as a way to boost on-time payments. But does that mean you should always take advantage of the same principle when you’re on the other end of the transaction settling vendor invoices? Not necessarily. Even if the discount may seem enticing (especially for a large bill), you must first assess your current cash position and upcoming cash flow needs before making a decision. Taking advantage of early payment discounts is only recommend during flush months when you have more than enough cash flow to meet business expenses such as payroll in the next 60 days. 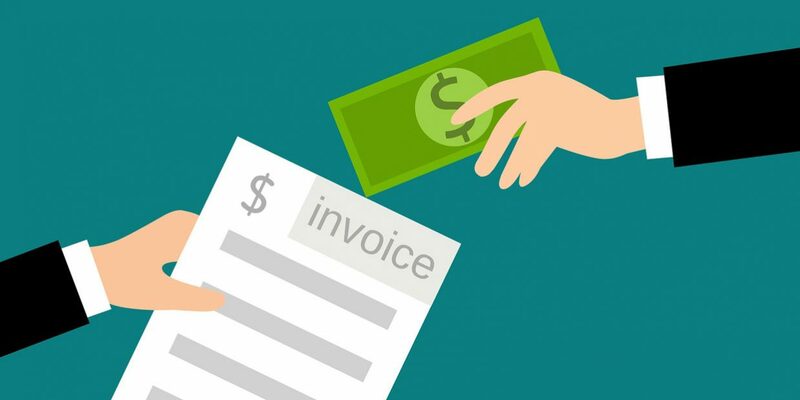 Maintaining a good working relationship with your vendors can come in handy especially in the event of a cash flow crisis when you may need to request extended payment terms. While it may be tempting to select vendors solely based on price, we recommend selecting vendors who can provide the greatest value to your small business. Take the time to share your growth objectives and where appropriate, key data that drives your strategy. Knowledgeable vendors will usually be able to provide guidance and feedback into the industry that you likely won’t be able to find elsewhere. Communicate new product launches in advance. By giving your vendor(s) a heads up when there are significant changes to the product line up in your business, they can begin to make preparations to meet your needs. Be a good customer. Unless you run a cash-based business, then you know all too well the feeling of frustration when your customers pay late. Don’t be that customer to your vendor. Pay on time or communicate well in advance if you foresee any issues so that alternative arrangements can be made. Accept accountability. The supplier isn’t the only party who’s responsible for ensuring a successful working relationship. Indeed, we recommend treating your vendor relationships as partnerships and accepting responsibility for any shortcomings on your end that may affect a supplier’s ability to deliver good or services on time. Accuracy is key when it comes to monitoring cash outflows. Bank reconciliation is essential if you want to have an accurate view of your cash flow position and know exactly where your business stands on a consistent basis. If you’re not familiar with bank reconciliation or perhaps find it to be a tedious task, then you can outsource this function to an online bookkeeper like Remote Quality Bookkeeping (RQB). Our banking specialists will update all of your bank accounts and credit cards in QuickBooks once per week as part of our bookkeeping services. These weekly cash reconciliations ensure that all reports will be accurate and up-to-date. This will help you to make informed business decisions. At the end of each month, our team will also reconcile your accounts and send you an email with any questions regarding income and expenditures from the past month. Not every small business needs a formal purchase order system but at the very least you should create a process flow for submitting and approving purchasing requests. This should include appointing a purchasing manager and taking appropriate steps to prevent fraud such as rotating employees. You should also establish payment control best practices such as requiring an additional check signer for payments exceeding a certain dollar amount. Remote Quality Bookkeeping can take control of the entire accounts payable process for your small business and post your bills to QuickBooks. Thereafter, we will schedule a remote session with you to determine which bills you want to pay and when. Once you’ve approved the bills that need to be settled, we will pay them on your behalf. Alternatively, you can use our mobile solution to approve payments from a smartphone for an even more convenient experience. By transferring these tasks to a leading online bookkeeping services provider, you can focus on doing what you do best: serving your customers. Contact the RQB team today to see how we can help meet your needs.